Gata Dispatches: "Congress Expected To Approve IMF Gold Sale Next Week"
Submitted by cpowell on 06:04PM ET Saturday, May 30, 2009. Section: Daily Dispatches From Commodity OnlineAhmedabad, IndiaFriday, May 29, 2009http://www.commodityonline.com/news/IMF-gold-sale-US-Congress-approval-n...LONDON -- The International Monetary Fund's decisiion to sell its gold reserves could get the necessary approval from the US Congress next week.At the G20 summit in London in April, participating countries agreed the IMF could sell 403.3 metric tons of gold as part of efforts to leverage up to $6 billion in concessional loans for low-income countries over the next few years. In order for the sale to proceed, 85% of IMF shareholders need to approve the proposal. Since the U.S. has 17% of the votes, it has a de-facto veto over the proposal, which requires Congressional approval, but IMF Managing Director Dominique Strauss-Kahn told Dow Jones Newswires this week he expects Congress will soon approve the sale.On Friday analysts said US Congress may approve International Monetary Fund gold sales as early as next week. "This issue appears now fully priced into the gold market and any announcement confirming sales should not move the market -- apart from perhaps a knee-jerk reaction," said John Reade, an analyst at UBS. Gold hit a three-month high Friday due to U.S. dollar weakness across a number of currencies such as the euro and pound. 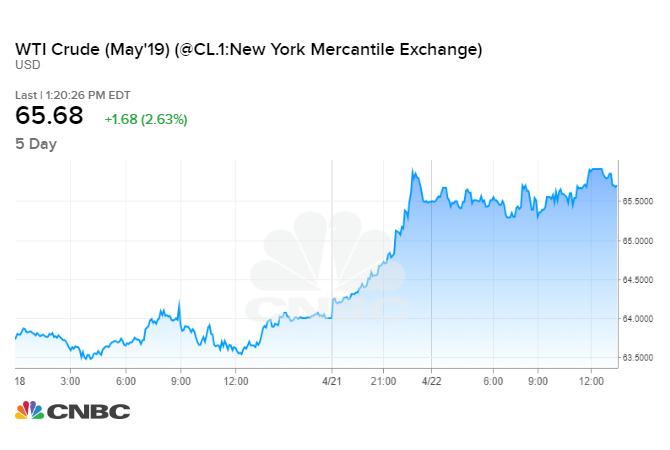 Traders and analysts said the metal is heading towards $1,000 a troy ounce with speculative buying reentering the market and the dollar weakening. ...The approval to sell gold, along with an increase in U.S. funding to the IMF, is scheduled for a debate beginning Monday as part of the 2009 Supplemental. An initial version of the supplemental, which includes a wider number of issues such as defense spending, was passed by both the House of Representatives and the Senate earlier this month. The version passed by the House didn't include the IMF provision but the Senate did approve the limited sale as long as it is done in a way that won't disrupt the market. Discussions over a final draft between representatives from each house are due to begin next week with a vote possible by next Friday. "We do not believe the sales, should they occur, will harm gold prices," said HSBC analyst James Steel. Other member states must also approve the sales plan, which may take many months, HSBC's Steel said, adding the sales are likely to be included in a new Central Bank Gold Agreement, or CBGA. The current CBGA agreement expires in September and analysts expect a new one to be announced soon. Under the CBGA, 17 European central banks agreed to limit gold sales to 500 tons a year. The pact is adhered to on an informal basis by the U.S., the Bank of International Settlements. and the IMF. Mining Interactive "Ahead of the Pack"
This email was sent to fernandoguzman@forexcontracts.info by nick@mininginteractive.com. Take some time and check it out as I’ve bookmarked the page and check it daily for new videos and postings, and I recommend you do the same! Thanks for your time and I’ll keep an eye out for more quality tools for you. The Financial Times Limited, registered in England and Wales number 227590. Registered office: Number One Southwark Bridge, London SE1 9HL. VAT number GB 278 5371 21. Forbes.com Alerts: "Final Glance:Finance Companies"
With all the movements in the market recently, traders and investors are focusing more and more on protecting capital. I’ve found that by properly knowing the trend of the symbols in my portfolio and keeping on top of those moves, I’m able to protect capital and pull profits out of the market when I can. But staying on top of the changes and momentum shifts often becomes overwhelming, especially if you’re watching a large number of symbols and open positions, like me. One free tool that I utilize to help me keep on top of my portfolio is called Trend Analysis, from the team that runs MarketClub. Trend Analysis is a daily email analysis tool that gives me insight into exactly what my portfolio is doing. The link above takes you to get your first symbol analyzed and from there you can easily add more symbols to get a daily update, which I find very helpful. Please be free to send us your comments, they are always wellcome. After knowing the statistics of increase in the price housing , the dollar strengthens against major currency, the point is until when good and bad news of some interest groups will keep and or wil try to manipulate the Forex Market in benefit of some insiders well informed. I rather be skeptical of what the media try to sell us. Maybe tomorrow another US bank goes bankruptcy or maybe Central banks start selling most of their reserves in USD? What do you think it would happen with the price of the dollar relative to the major currencies. What economy is worst the Japanese with the decrease of its retail sales... ? The USA with the increase of housing sales....? the figures every day change to strenghten one and or other of major currencies...? Be careful in your foreign deals. If you didn’t make money this month then you weren’t watching our Trade Triangles. CURRENCIESMay has been quite a month, especially for the British Pound (GBP). In an earlier video, I alerted everyone of the potential upward move. The market ended up moving right in line with my expectations and is showing some excellent profits. One currency contract at the CME is showing a profit of over $8,000, a stunning return of over 216% over initial margin*. ETFI also alerted you to a move in crude using the ETF USO which closely tracks the crude oil market. This market has gone up over 8% since MarketClub issued the first signal on May 6th at 32.16 using our Trade Triangle technology. PRECIOUS METALGold has also been a big winner this month with a move over the $950 level. This stellar move produced profits over $2,845 a contract. This represents a return of 50% in less than a month over initial margin*. If you’re not familiar with our “Trade Triangle” technology, I highly recommend you take a look at it and see how it works in spotting the big moves before they begin. As always, the videos are free to watch and there’s no need to register. I would love to get your feedback about this video and your own predictions about these markets on our blog. Gata Dispatches: ""John Taylor: Exploding debt threatens America"
Submitted by cpowell on 08:23AM ET Wednesday, May 27, 2009. Section: Daily Dispatches By John TaylorFinancial Times, LondonTuesday, May 26, 2009http://www.ft.com/cms/s/0/71520770-4a2c-11de-8e7e-00144feabdc0.html?ncli...Standard and Poor's decision to downgrade its outlook for British sovereign debt from "stable" to "negative" should be a wake-up call for the US Congress and administration. Let us hope they wake up.Under President Barack Obama's budget plan, the federal debt is exploding. To be precise, it is rising -- and will continue to rise -- much faster than gross domestic product, a measure of America's ability to service it. The federal debt was equivalent to 41 per cent of GDP at the end of 2008; the Congressional Budget Office projects it will increase to 82 per cent of GDP in 10 years. With no change in policy, it could hit 100 per cent of GDP in just another five years. "A government debt burden of that [100 per cent] level, if sustained, would in Standard & Poor's view be incompatible with a triple-A rating," as the risk rating agency stated last week.I believe the risk posed by this debt is systemic and could do more damage to the economy than the recent financial crisis. To understand the size of the risk, take a look at the numbers that Standard and Poor's considers. The deficit in 2019 is expected by the CBO to be $1,200 billion. Income tax revenues are expected to be about $2,000 billion that year, so a permanent 60 per cent across-the-board tax increase would be required to balance the budget. Clearly this will not and should not happen. So how else can debt service payments be brought down as a share of GDP?Inflation will do it. But how much? To bring the debt-to-GDP ratio down to the same level as at the end of 2008 would take a doubling of prices. That 100 per cent increase would make nominal GDP twice as high and thus cut the debt-to-GDP ratio in half, back to 41 from 82 per cent. A 100 per cent increase in the price level means about 10 per cent inflation for 10 years. But it would not be that smooth -- probably more like the great inflation of the late 1960s and 1970s with boom followed by bust and recession every three or four years, and a successively higher inflation rate after each recession.The fact that the Federal Reserve is now buying longer-term Treasuries in an effort to keep Treasury yields low adds credibility to this scary story, because it suggests that the debt will be monetised. That the Fed may have a difficult task reducing its own ballooning balance sheet to prevent inflation increases the risks considerably. And 100 per cent inflation would, of course, mean a 100 per cent depreciation of the dollar. Americans would have to pay $2.80 for a euro; the Japanese could buy a dollar for Y50; and gold would be $2,000 per ounce. This is not a forecast, because policy can change; rather it is an indication of how much systemic risk the government is now creating.Why might Washington sleep through this wake-up call? You can already hear the excuses. "We have an unprecedented financial crisis and we must run unprecedented deficits." While there is debate about whether a large deficit today provides economic stimulus, there is no economic theory or evidence that shows that deficits in five or 10 years will help to get us out of this recession. Such thinking is irresponsible. If you believe deficits are good in bad times, then the responsible policy is to try to balance the budget in good times. The CBO projects that the economy will be back to delivering on its potential growth by 2014. A responsible budget would lay out proposals for balancing the budget by then rather than aim for trillion-dollar deficits. "But we will cut the deficit in half." CBO analysts project that the deficit will be the same in 2019 as the administration estimates for 2010, a zero per cent cut. "We inherited this mess." The debt was 41 per cent of GDP at the end of 1988, President Ronald Reagan's last year in office, the same as at the end of 2008, President George W. Bush's last year in office. If one thinks policies from Reagan to Bush were mistakes, does it make any sense to double down on those mistakes, as with the 80 per cent debt-to-GDP level projected when Mr Obama leaves office?The time for such excuses is over. They paint a picture of a government that is not working, one that creates risks rather than reduces them. Good government should be a nonpartisan issue. I have written that government actions and interventions in the past several years caused, prolonged, and worsened the financial crisis. The problem is that policy is getting worse, not better. Top government officials, including the heads of the US Treasury, the Fed, the Federal Deposit Insurance Corp., and the Securities and Exchange Commission are calling for the creation of a powerful systemic risk regulator to reign in systemic risk in the private sector. But their government is now the most serious source of systemic risk.The good news is that it is not too late. There is time to wake up, to make a mid-course correction, to get back on track. Many blame the rating agencies for not telling us about systemic risks in the private sector that lead to this crisis. Let us not ignore them when they try to tell us about the risks in the government sector that will lead to the next one.-----The writer, a professor of economics at Stanford and a senior fellow at the Hoover Institution, is the author of "Getting Off Track: How Government Actions and Interventions Caused, Prolonged, and Worsened the Financial Crisis." How much are you paying per course? Even in these tough economic times companies are still trying to exploit people’s desire to expand their trading minds! Companies are charging hundreds and even thousands for access to 2-3 hours’ worth of mediocre education from their own experts. If anyone has actually paid for the education, they quickly realize that in order to continue and get the “expanded education” they need to continue to spend! It’s all a vicious cycle to separate you from your hard earned pay checks without actually providing you with worthwhile material. There is only one place where you have access to over 150 experts and 500 hours of seminars, for one price and that’s INO TV. (Make this entire phrase a text link with your affiliate code) http://www.ino.com/info/36/CD3233/&dp=0&l=0&campaignid=9 INO TV gives its 30,000 members access to massive amounts of educational material that has been handpicked to provide you with the most for the least. If you’ve been duped in the past, here is your way to get back at those companies… learn something and stretch your pay check! Visit the education page of INO TV to learn more. Full access to INO TV will not cost you thousands, and won’t cost you hundreds. A full year subscription is only 99.95. Yes, access to the world’s top experts, streaming on demand, and new authors being added monthly, will not cost you a month’s salary. It’s important that you continue to design your trading methods that fit your lifestyle, and with INO TV you can do that with access to hundreds of experts who have done it before and want to show you their strategies. Learn more about INO TV and see if you’re ready to refresh your knowledge base. ¡Best to all of you and remember your comments are welcome! Below is the transcript of Adam's mail. Here’s a key video to look at this week. I was just looking at the S&P 500 and I noticed a very pronounced cycle in this market that I want to share with you. In my new video I explain exactly what I’ve seen and what I expect will happen to this market if this cycle continues on track. You can view this new video with my compliments. There are no registration requirements. Please enjoy and give your feedback on our blog. Thank you. Be careful who you decide to do forex contracts with. First check out your brokers name with any regulatory institution such as the NFA . This is a public forum provided by Economictimes.com for its users to share their views with friends/public at large. Economictimes.com is not responsible for the content of this email. Anything written in this email does not necessarily reflect the views or opinions of Economictimes.com. Please note that neither the email address nor the name of the sender has been verified. Gata Dispatches: "Peter Brimelow: Gold on verge of historic breakout?" NEW YORK -- Is this it for gold? After a good week, gold watchers of all stripes think it may be. Again. "Gold could be on the verge of a historical breakout. Watch that $990-1,000 area like a hawk." "The gold share ETF, the GDX [Market Vectors Gold Miners ETF has just broken out from a major base. Since the shares often lead the metal, this is a bullish factor." "Ordinarily I would only add gold items on a correction, but gold seems on a roll now, so I added GDX." "What is being traced ... is a gigantic 'reverse' head-and-shoulders formation. The trading range between US$900 and US$1,000 was broken early in April. Over the month of April, a tighter range between US$870-US$910 was established. Now gold has broken back above that range. The 'right shoulder' on the 'reverse' head-and-shoulders formation is getting wider. ... There are two major resistance points. The first is at US$955 ... where the chart is now. The second is, of course, at US$1,000, the level reached in March 2008 and again in February 2009." Several other commentators see the same thing. The second bullish gold development: general economic conditions. As the Gartman Letter noted on Wednesday: "The dollar does look vulnerable. ... Pushing government steadily leftward, the Obama administration has set up the possibility of a U.S. dollar rout. ... If this persists, commodity prices generally shall rise and rise materially, and gold shall too." Dan Norcini at the JSMineset Web site saw things similarly on Friday. He offered "some remarks concerning the collapse in the long bond. Quite frankly, its weekly price chart has become a technical train wreck. ... While some of the immediate demand/supply fundamentals of various commodity markets are not particularly bullish, the fact is that the big funds are looking past all of that and are rushing in to buy across the board based on inflation expectations. ... The inexorable and relentless rise in the Continuous Commodity Index (CCI) presents the gold bears with a formidable problem. It is difficult to shove the price of gold down for long when the entire commodity world is rising." "I think we are very close (7-10 months) to the beginning of a hyperinflationary spiral. ... If I am right ... there obviously is an exceptional opportunity to load up (i.e., a leveraged position) by buying gold." But Turk has his fair share of trading scars and more. He warns: "Comex options expire this Tuesday, May 26, and options in the much larger over-the-counter market expire a couple of days later. We all know what has happened regularly over the years on option expiry. The gold cartel slams gold." Turk is part of a faction I call the radical gold bugs, because they watch not merely inflation but what they believe to be the authorities' manipulation of the gold price to preserve the illusion of financial stability. Their expectations of a gold breakout have been frustrated repeatedly. Nevertheless, Turk adds: "One of these days (and there's at least a 50 percent chance now is that time), gold will just keep rising." Submitted by cpowell on 05:51PM ET Friday, May 22, 2009. Section: Daily Dispatches Good thing the world has Jon Nadler at Kitco and Philip Klapwijk at GFMS to provide assurances that such manipulation could never happen in the gold market. * * *Why Wall Street Is Deserting Treasuries and the DollarBy Tom PetrunoLos Angeles TimesFriday, May 22, 2009http://latimesblogs.latimes.com/money_co/2009/05/this-week-couldnt-end-f...This week couldn't end fast enough for the Treasury bond market or the dollar, both of which were hammered again today as investors bailed out in thin pre-holiday trading.The yield on the 10-year T-note jumped to 3.45%, up from 3.35% on Thursday and 3.14% a week ago. The yield now is the highest since mid-November.So much for the idea of Treasuries being a haven: The iShares Barclays 20+Year Treasury exchange-traded fund, which owns long-term government bonds, has lost 22% of its value since the start of the year as rising market yields have depressed older bonds' prices.In the currency market the euro shot up to a five-month high of $1.40 from $1.39 on Thursday and $1.35 a week ago. The dollar also slumped further against most other major currencies and a lot of minor ones.As for the stock market, it performed a modest levitation act for much of today's session, only to surrender to gravity in the last hour.Global investors and traders suddenly seem to have every reason in the book to sell Treasuries and the greenback, and no reason to buy.One camp, for example, is betting that the economy has bottomed and that it's smarter to bet on riskier investments, such as corporate junk bonds, stocks and emerging-market currencies, than on low-yielding Treasuries or the dollar.Another camp is worried that the unprecedented surge in U.S. government borrowing (to bail out the economy) finally has become too much for the market to bear, fueling fears of an even bigger spike in T-bond yields ahead. "I think the supply dynamic is just getting overwhelming," said Tom Tucci, head of Treasury trading at RBC Capital Markets in New York.What's more, Standard & Poor's rattled bond investors on Thursday after it warned that Britain could lose its AAA credit rating because of that government’s soaring debt load. S&P didn't say anything about Uncle Sam's AAA rating, but the markets made the link anyway, as noted in this post. That too was a downer for the dollar.The Obama administration might not care much about rising Treasury yields and a falling dollar, except for the velocity of the moves: The U.S. can't afford a continuing spiral up in yields and spiral down in the dollar's value because they could feed on themselves and unnerve our foreign creditors, particularly China.And although it hasn't happened yet, at some point the jump in Treasury yields will begin to push up mortgage rates. Then say goodbye to any hopes for a housing recovery.All of this sets up markets for another big test next week, when the Treasury plans to sell a total of $101 billion of two-, five-, and seven-year notes Tuesday through Thursday.It's possible that yields now have risen to a point where buyers will be interested again. But if not, and yields continue to rocket, Wall Street most likely will turn to the Federal Reserve for help -- expecting the central bank to step up its manipulation of the Treasury market by boosting its purchases of bonds.Even if the Fed complies, however, there's no guarantee it will succeed in damping yields if sellers keep swarming. "When the market is against you it's very hard to have a successful intervention," warns Dominic Konstam, an interest-rate strategist at Credit Suisse in New York. As every Friday our friend Nick Nicolaas sends us his e-mail, alerting Adam Hamiliton has posted his weekly Zeal Itelligence Newsletter. The transcription of his mail next:. http://www.mininginteractive.com/releases/zeal/zeal20090522.pdf Have a great weekend and - - - Stay Tuned!! Gata Dispatches: Dollar stops being Russia's reserve leading currency"
The U.S. dollar is not Russia's basic reserve currency anymore. The euro-based share of reserve assets of Russia's central bank increased to the level of 47.5 percent as of January 1, 2009, and exceeded the investments in dollar assets, which made up 41.5 percent, The Vedomosti newspaper wrote. The dollar has thus lost the status of the basic reserve currency for the Russian central bank, the annual report, which the bank provided to the State Duma, said. In accordance with the report, about 47.5 percent of the currency assets of the Russian central bank were based on the euro, whereas the dollar-based assets made up 41.5 percent as of the beginning of the current year. The situation was totally different at the beginning of the previous year: 47 percent of investments were made in US dollars, while the euro investments were evaluated at 42 percent. The dollar share had increased to 49 percent and remained so as of October 1. The euro share made up 40 percent. The rest of investments were based on the British pound, the Japanese yen and the Swiss frank. The report also said that the reserve currency assets of the Russian central bank were cut by $56.6 billion. The losses mostly occurred at the end of the year, when the central bank was forced to conduct massive interventions to curb the run of traders who rushed to buy up foreign currencies. The currency assets of the central bank had grown to $537.6 billion by October 2008. Therefore, the index dropped by almost $133 billion within the recent three months. The majority of Russian companies, banks, and most of the Russian population started to purchase enormous amounts of foreign currencies at the end of 2008. The dollar gained 16 percent and the euro 13.5 percent over the fourth quarter. The demand on the US dollar was extremely high, and the central bank was forced to spend a big part of its dollar assets, experts say. The change of the structure of the currency portfolio of the Bank of Russia has not affected the official peg of the dual currency basket, which includes $0.55 and 0.45 euros. The investments of the Bank of Russia in state securities of foreign issuers have been considerably increased, the report said. About a third of Russiaâ€™s international reserves are based on US Treasury bonds. ¡Adam Hewison is unbeatable, here is one more video Adam wants to share with us! Today we’re going to be looking at the S&P 500 market. We last reviewed this market back on May 12th when it was trading at 908. Here we are two weeks later and the market is at 914. That doesn’t seem like a big move, but we’ve had some pretty big moves in the interim both on the upside and downside. Adam Hewison send us a n great video on gold with update on current direction. Do not miss it. The gold market sprang into life yesterday (5/20) as it closed in on $940 level which brings it back to its best levels since March 20th. We last looked at the gold market shortly after my return from New Zealand on May 5th. At that time, Gold (xauusdo) was trading at $902 you can see that all on my earlier video. Presently we are trading around $937 zone and it looks as though we can see further upside action in this market. BBC BUSINESS NEWS"High costs fuel record loss at BABritish Airways"
High costs fuel record loss at BABritish Airways announces an annual pre-tax loss of £401m, after being hit by the weak pound and higher fuel costs. GMAC to receive $7.5bn state aidThe US Treasury is to give finance group GMAC $7.5bn more state aid, to help it offer loans to Chrysler and GM car buyers. FT.com:"Revival hopes push down dollar"
FORA T.V. :"Steve Ballmer: Opportunities in Difficult Times"
FORA T.V. : "The World is Thinking". To view video please click HERE. ¡We Welcome your comments and this and any other post! Analysis of official statistics shows that the number of British-born workers in employment fell by 451,000, or 1.8 per cent, in the first quarter of this year compared with a year ago. How real is the threat of social unrest from China's army of unemployed?